Watch this video about the City of Richardson sign topper program. Heights Park was the first neighborhood in Richardson to implement this program. HPNA board member Stephen Springs did a fabulous job representing us on the video. And thanks to Don Magner and Jeff Moshier for putting this all together. It’s a great program for the city and it’s amazing that so many neighborhoods have implemented this! 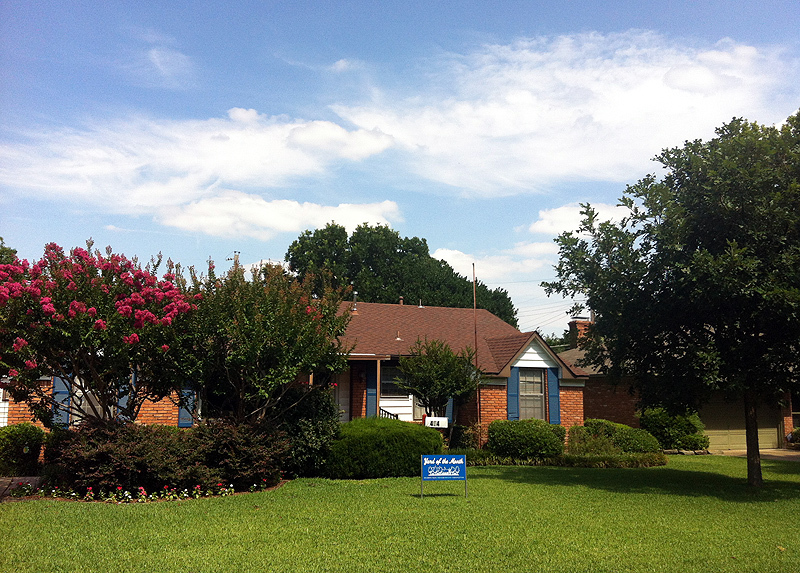 The June Yard of the Month Winner is Virginia Maupin at 404 Inglewood. She is an original resident since 1955!! She was thrilled to win. Also Inglewood has never won YOM, so it was long overdue.